The construction of the bath house and parish hall, designed by Art Nouveau architect Gustav Bähr from Berlin, was finished in 1910. 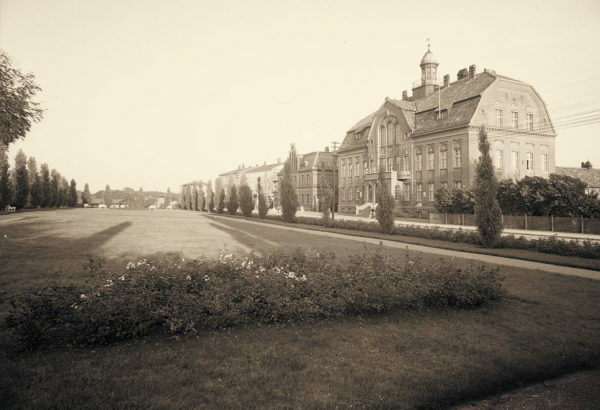 The location for such a prestige building was not without controversy since many citizens of Sassnitz felt that such a building would rather belong on the town square and not onto an empty field. However, community representatives decided on its construction along the main road. 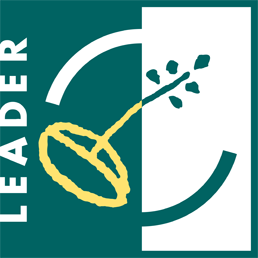 One of the main arguments was the threat of damages caused by recurring floods during storms. Those advocating the town square only saw a lost opportunity. 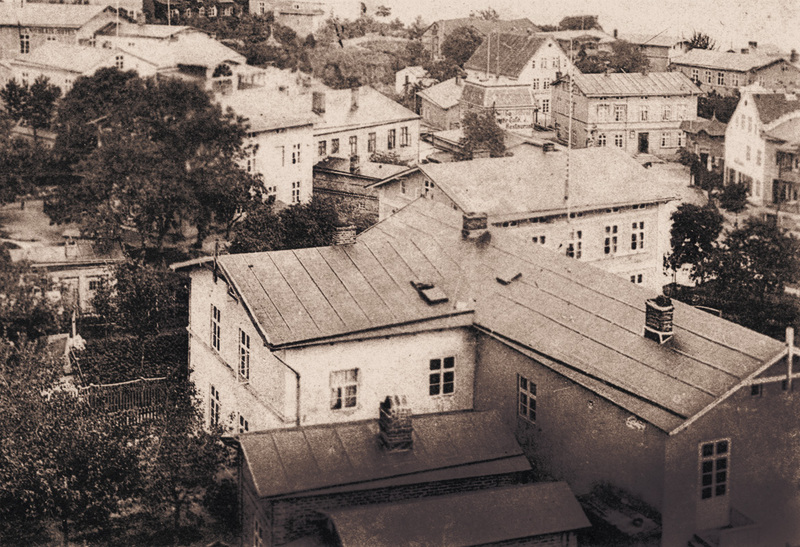 Apart from administrative and residential rooms and a reading room with a veranda, there were also 40 small rooms with bathtubs, a room for medical baths and a room for light baths. To provide the site with sea-water, a pump station pushed the water from the Baltic Sea through its own pipe system into a container in the attic. From the end of the 1960s until 2001 the building was used exclusively as the town hall. In 2002 it was extensively restored according to the guidelines for historical monument protection and in 2003 the town hall could open its doors again as the seat of Sassnitz’s municipality. 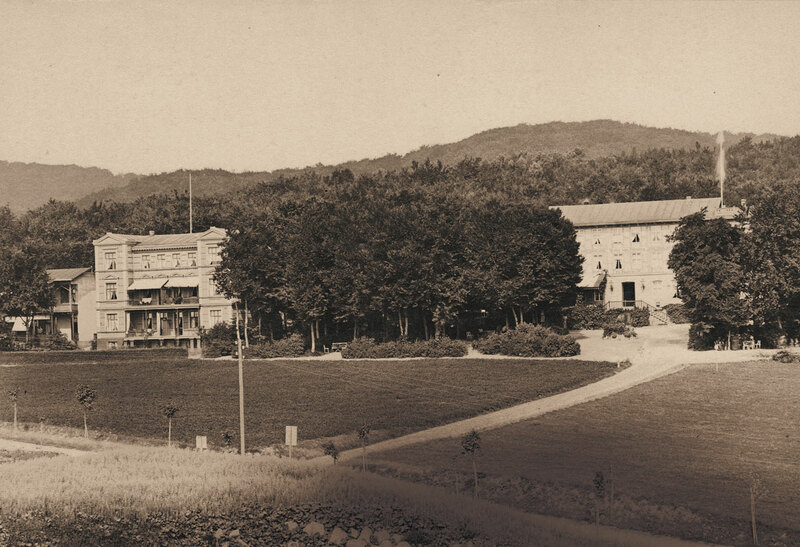 When in 1868, the Prussian forest treasury decided to sell a piece of forest for the construction of a hotel, the wish of many Sassnitz citizens and tourists came true. 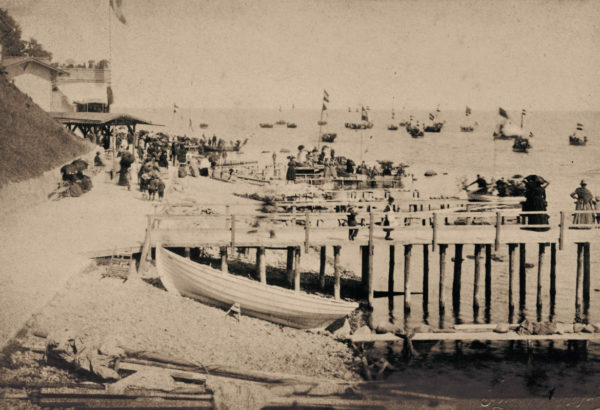 Since the 1850s, the small, up-and-coming seaside resort had been visited by an increasing number of tourists and by the end of the 1860s, it suffered from a severe lack of accommodation. As a consequence, visitors were often forced to leave. 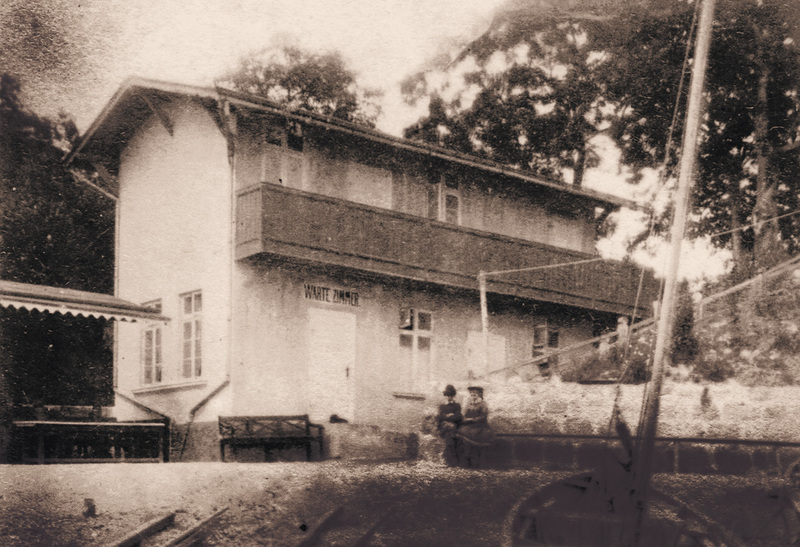 The new „Hotel zum Fahrnberg“, constructed in 1869 by Th. Paulsdorf from Bergen and named after the range of hills located north of it, was considered the most distinguished hotel in the area. 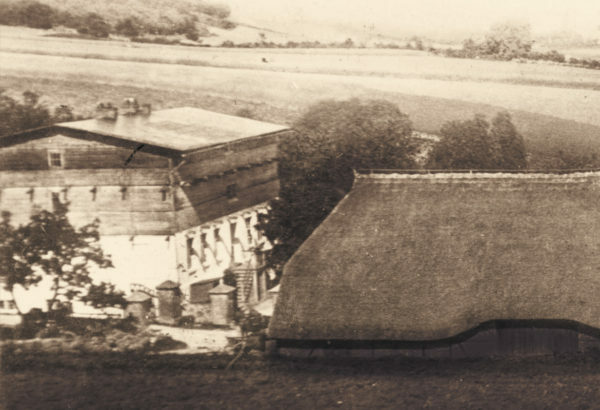 However, with the increasing number of visitors, capacities soon proved to be insufficient and in the years 1880 and 1882 additional annexes were constructed to provide additional accommodation. The hotel’s most famous visitors were Johannes Brahms, who completed the 4th movement of his 1st symphony in 1876 in Sassnitz and who dined every evening at the „Hotel zum Fahrnberg” and Theodor Fontane who stayed at the hotel for several nights during a short holiday on the island of Rügen in 1884. 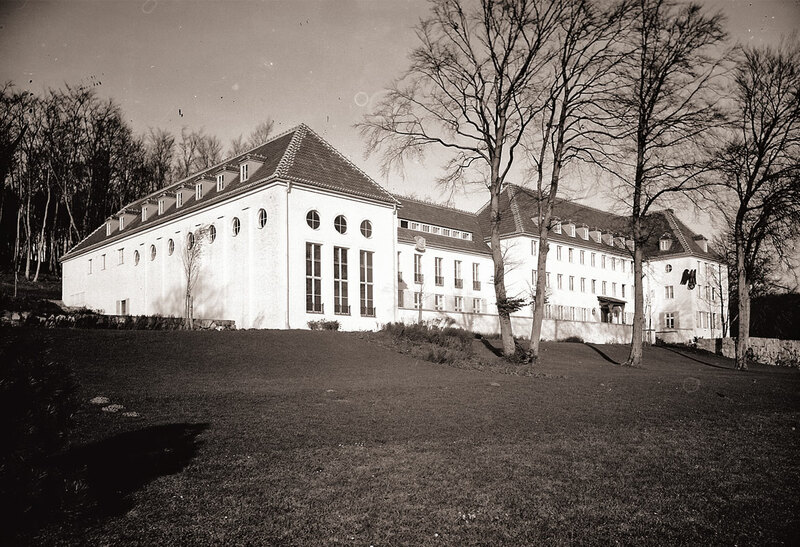 After being used as a hotel for over 60 years, the building was transformed into a school facility of the NSDAP in 1933. 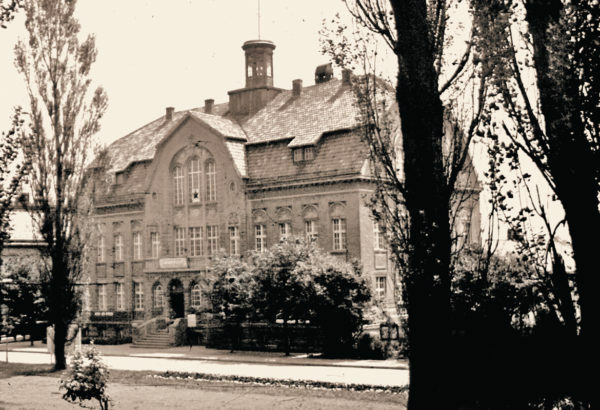 After having served as a military hospital during the last years of World War II, the building was used as a public hospital from 1945 until 1995 before being demolished in 1996. 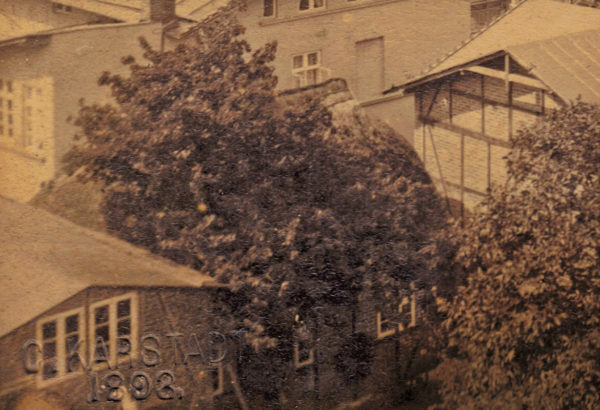 In 1848, Magnus Küster, a merchant from Stralsund bought a local chalk-processing factory. Already in 1852 he ran an inn next to his factory, hosting his guests on the ground floor, while drying washed chalk in the attic. In 1875, he converted the place and it became the „Magnus Küster‘s Hotel“. Besides the „Hotel zum Fahrnberg“ it was one of the most renowned hotels in Sassnitz and the neighbouring community Crampas. Due to the confusing border demarcation between Sassnitz and Crampas, both hotel and factory belonged to Crampas, even though they were located in the trough of Alt Sassnitz. 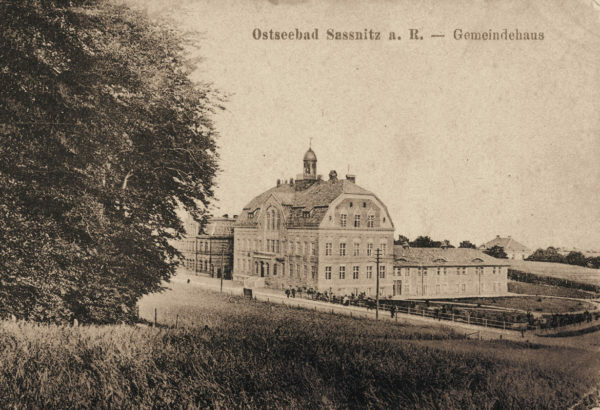 As a consequence, high amounts of taxes were paid to Crampas and Sassnitz only got the chalk factory’s waste water which was led into the local stream, the „Steinbach”. The chalk turned its water milky and murky which caused heavy criticism. Magnus Küster’s chalk quarries also being a rather unpleasant sight, people feared for their seaside resort‘s attractiveness. 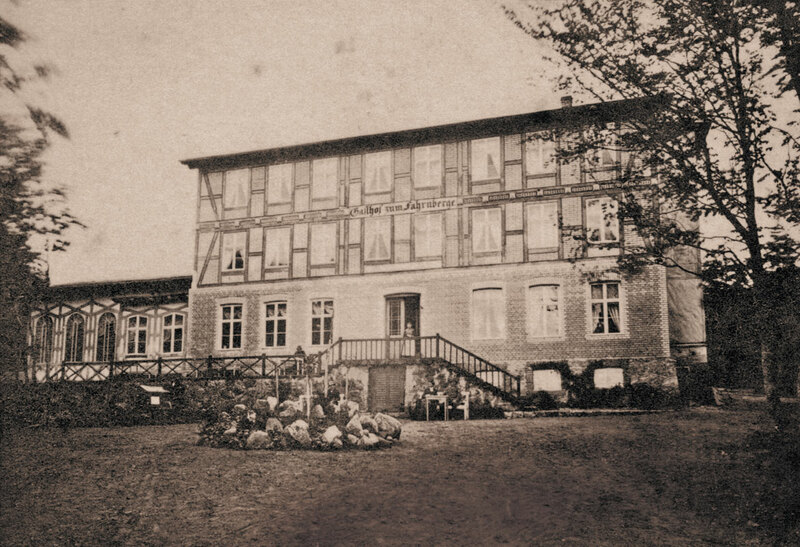 After Küsters death in 1881, his son Malte took over both hotel and factory and renovated them extensively. 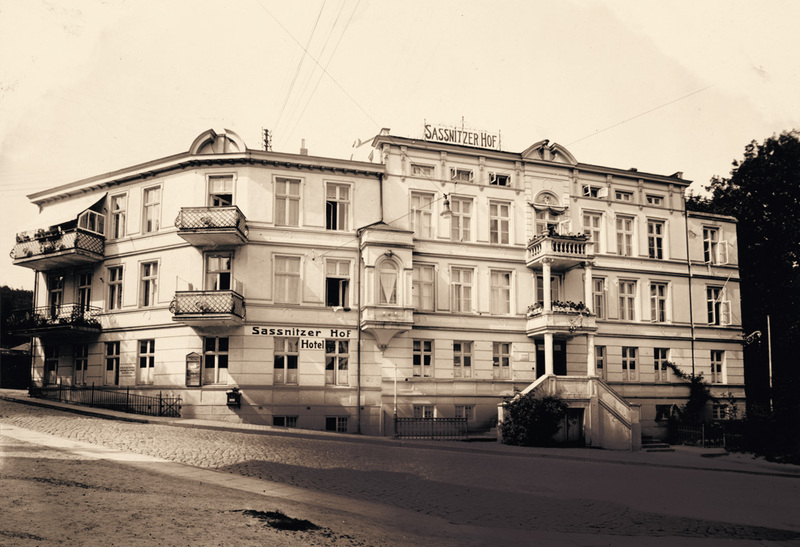 After several changes of ownership at the beginning oft he 20th century, the hotel was named „Saßnitzer Hof”, a name which is still being used by many locals. After years of standing empty, the house was refurbished in 2009. After the mid-1870s, a radical change from fishing village to seaside resort took place leading to an intense building activity. Extensions, modifications and additions of further storeys to the old fishermen-cottages as well as completely new buildings dominated the scenery of Alt Sassnitz in the following two decades. A particularly interesting example is the building on Rosenstraße 2/3, as it combines all possible forms of extension in its construction history. Due to an inheritance, the old fisherman´s cottage, owned by the Hahlbeck family, was divided into two parts in the year of its first conversion (1878). Karl Hahlbeck, owner of the southern part of the house, at first only rebuilt the backside of the building, thus creating more space. Three years later, his mother, who was living in the northern part of the building, followed her son´s example. 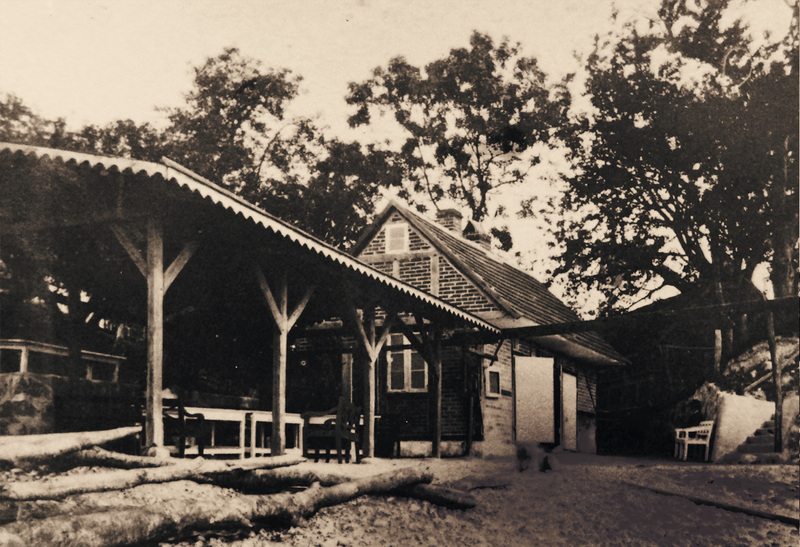 In 1881, the complete backside of the house had been rebuilt and equipped with a flat roof and only the front of the building still showed the original layout of the fisherman´s cottage. 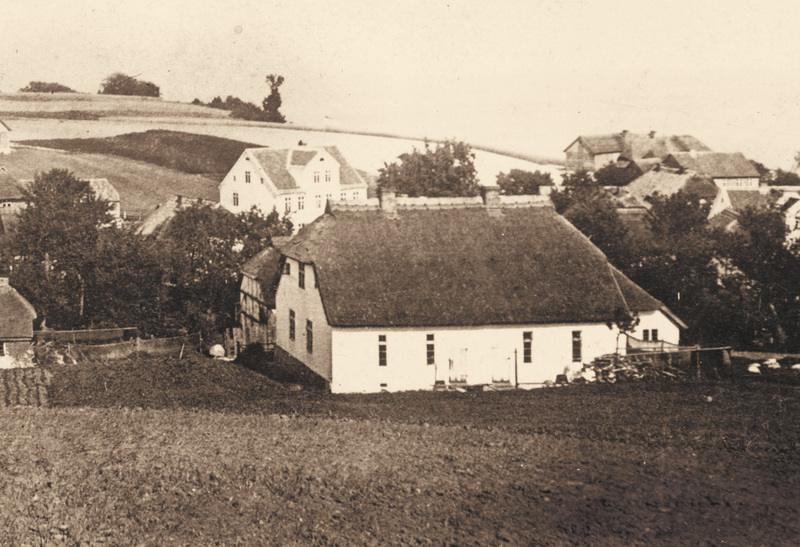 After the death of their mother, Karl Hahlbeck’s brother Julius inherited the northern part of the house. 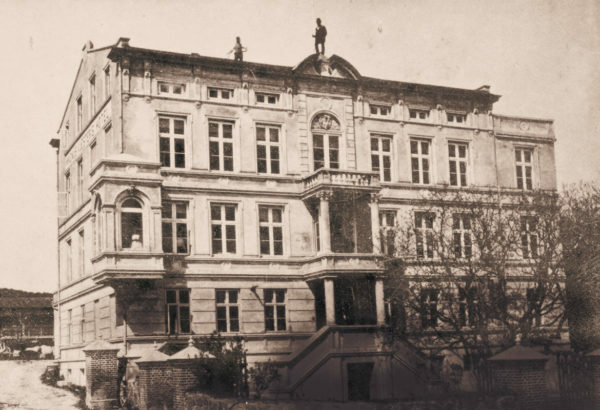 In 1883 both brothers got permission to reconstruct the entire building and they took down the house, only keeping the ground floor’s enclosing walls. A whole new floor was added, and Karl Hahlbeck additionally increased the size of his part of the house through an extension to the West. Within five years, the building was extended in all possible ways and it has been in its current form since 1883. As in other municipalities, the marketplace was also in Sassnitz the town’s center. Locals could do their daily shopping, get water and the latest gossip but due to its limited space and general confusion, it had little to offer to travellers. This changed in 1892, when the „Central-Konditorei”, a confectioner, opened its doors to the „Wiener Café” and restaurant, and shops like the Central-Bazar started selling souvenirs. The „Wiener Café” existed until 1901 and was replaced by a building designed in a late outburst of building activities following the last construction boom. It was one of the town’s biggest buildings and it significantly increased the number of holiday accommodation available. 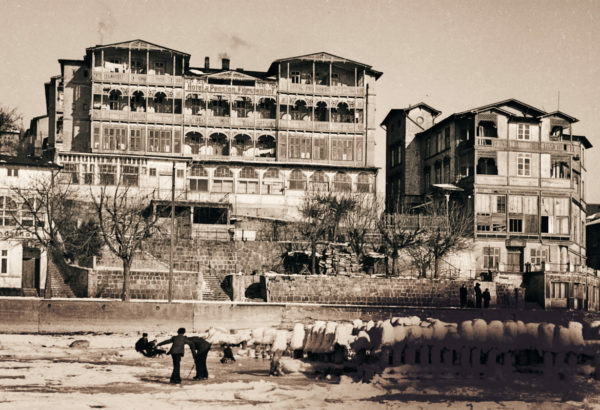 However, the buildings constructed in 1901 were a source of conflict between residents and hotel owners due to their sheer size. They took sunlight away from many guesthouses located behind them, engulfing verandas in the densely built valley in deep shadows, making guesthouse owners fear for their income. 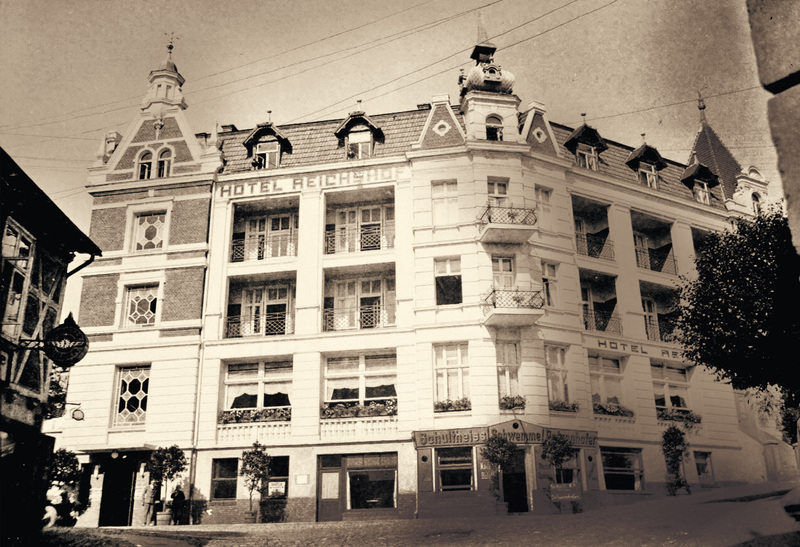 Around 1890, Ferdinand Becker, a businessman from Bergen started operating a printing shop for the spa and hotel journals. Due to the noise and the stench it created, the petroleum engine that had been acquired to operate the press immensely annoyed all neighbours. When building the oversized „Central-Hotel“ („Alter Reichshof”), Becker also did not show a lot of consideration for his surroundings. However, he did not recognize the signs of the time which showed an increasing decline in overnight stays: The hotel quickly went bankrupt. Rumour has it that Becker died in psychiatric ward. Imagine high-ranking officers or noblemen sleeping on simple straw beds! Nothing exceptional here in Sassnitz and it was in houses like this, that visitors were accommodated. Until the 1870s, when houses were turned into holiday homes and accommodation became much more comfortable, travelers had often rented whole fishermen-cottages, their residents moving to neighbors or family or, if only the ground floor had been rented, withdrawing to the attic or into other small rooms. The only decoration consisted of white chalk-paint on the inner walls, sometimes fresh ivy trailing out of a corner being nailed to the wall or – rarely – juniper leaves sprinkled onto the floor. There was hardly any furniture. Travelers often lived “out of their suitcases”. This house shows the typical layout of a simple fishermen-cottage of the 19th century. It is a rarity in the area of Sassnitz as it has never been converted for touristic reasons. Except for a staircase extension and a tiled roof, it has kept its originality throughout the centuries. 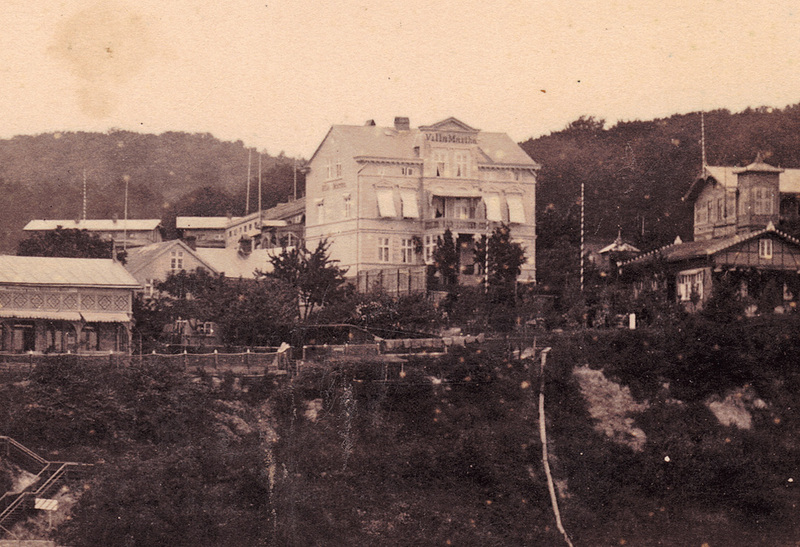 When in 1884, the Blembel family from Dresden built a summer house on the cliffs of Sassnitz and named it after their daughter Martha, probably no one guessed that it would temporarily become the most widely noted house in Sassnitz. 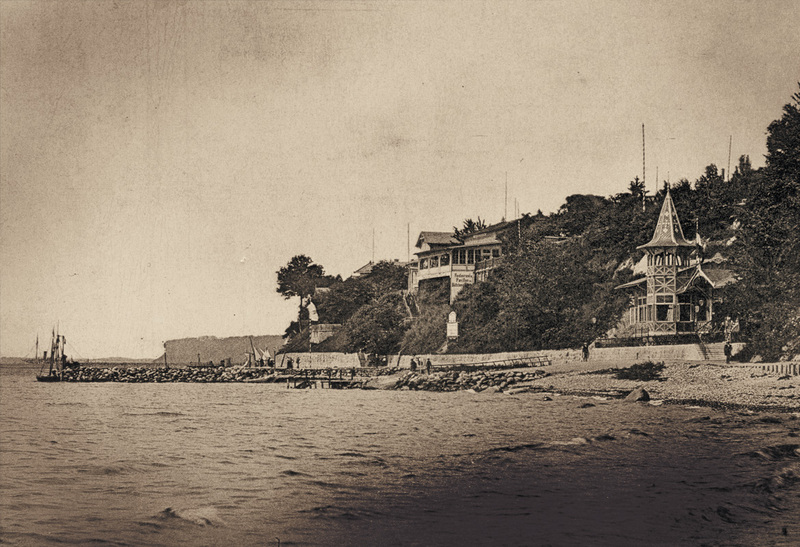 Because it was here, where the German empress Auguste Viktoria spent her summer vacation 1890. 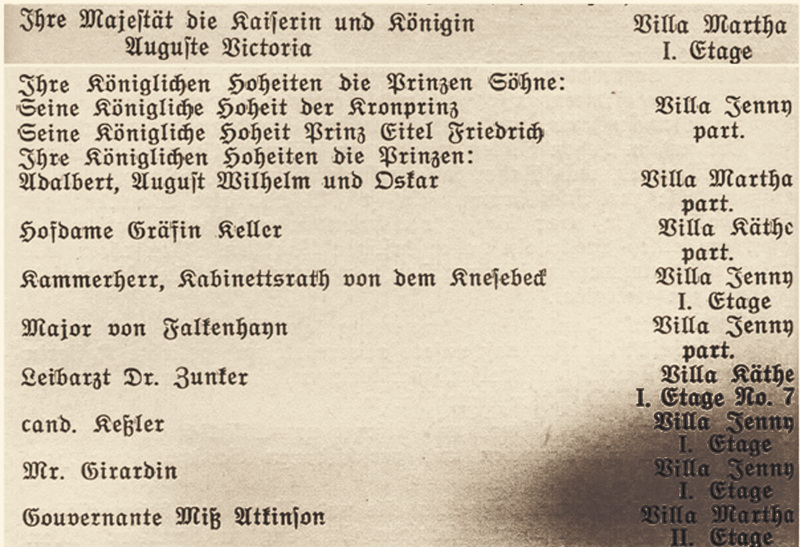 Apart from „Villa Martha”, also „Villa Jenny” and „Käthe” were booked to accommodate the royal household. The empress enjoyed her stay at „Villa Martha” and in Sassnitz. She spent many hours sitting on the porch, making excursions to the nearby Stubnitz or going on boat trips along the chalk cliffs. It was supposed to be an undisturbed stay which was, however, often interrupted by intrusive summer guests. Deluding the audience was a practical way to escape. When the empress returned from a boat trip, the boat would first be heading towards the Lloyd- bridge in Sassnitz. As soon as the guests were gathering on the bridge or at the beach to welcome her, the boat would turn and dock at the small pier close to the princely log-houses at the entrance to the Stubnitz. 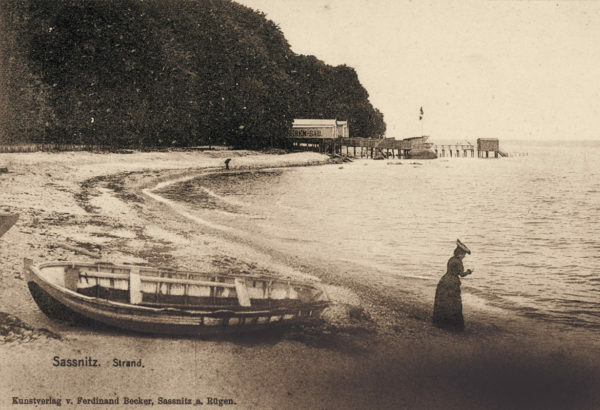 Auguste Viktoria‘s visit did not have an effect on the number of visitors during the holiday season of 1890, but helped to increase the popularity of Sassnitz in the following years. Measuring about 41 m³, it is one of the biggest erratics along Rügen’s shore – the „Uskan”. 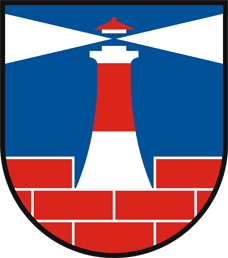 Most people use its centuries-old nickname „Klein Helgoland”. Our ancestors liked to call these erratics, located in shallow waters along the coast, “swan stones” as, according to an old Rügen legend, newborns were not delivered by storks but placed onto such boulders by swans. There were several erratics in the direct surroundings of Sassnitz and Crampas. How- ever, most of them were destroyed during the construction of the Sassnitz mole which started in 1889. They were blown into smaller pieces and used as construction material. During the 19th century, bathing in the Baltic Sea was still strictly divided between the sexes. The men’s bathing area was located here, close to the Uskan. During bathing hours, ladies were urged to pass by quickly or encouraged to avoid the area altogether. The story goes that once, two female holiday makers who had watched the bathing men with a pair of binoculars, had to leave Sassnitz as they had completely disgraced themselves. As these strict puritanical customs began to loosen, the days of divided baths had been numbered and the men’s bath close to the Uskan disappeared around 1912. The boulder, however, continued to fascinate people and for decades to come it was again and again equipped with benches and kept accessible by bridges which repeatedly fell victim to ice and storms. The last bridge leading to the rock was destroyed in February 2002. Until roughly 1890, Sassnitz had a makeshift town square („Kurplatz“) at the intersection of Bachpromenade and Strandpromenade. 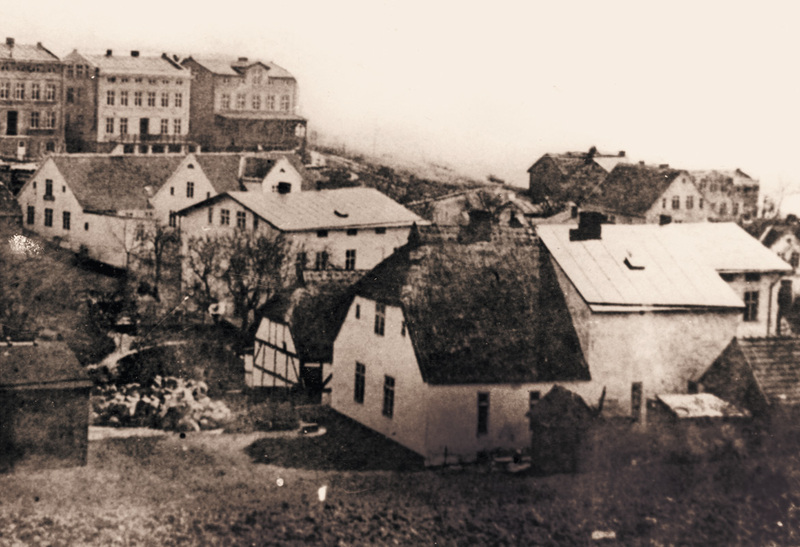 The next town square was also only a product of coincidence as, originally, the earth deposit creating it had had a different purpose: in order to cut expenses, chalk-factory owner „Küster“ needed a loading site at the seashore. Barrels with dried chalk were to be collected at that site, loaded onto boats using a loading bridge and then transferred onto big ships. He constructed that loading site by filling and securing the beach with a stone packing. However, with the construction of the Sassnitz harbor, his loading site was not needed anymore. 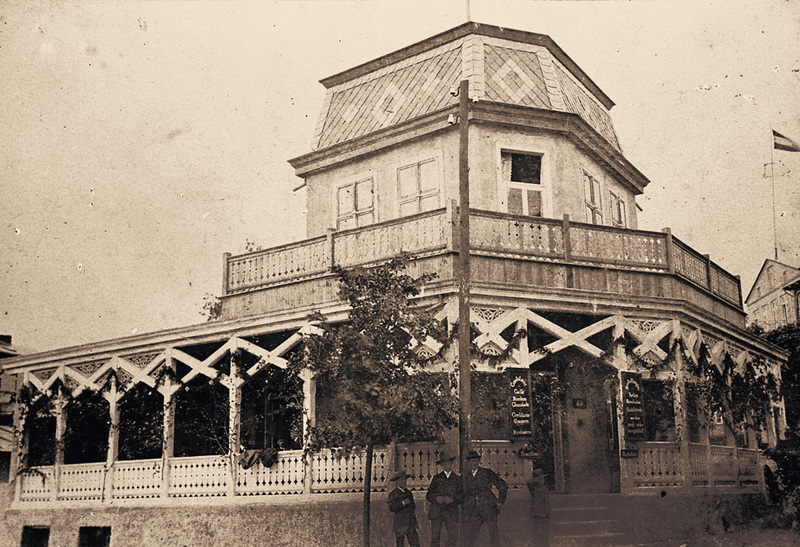 Already in 1894, he used the location to build the restaurant „Bieramare” (Bier am Meer = Beer by the sea). This name was rather offensive at that time and it was presumably a reference to Erzherzog Maximilian´s castle „Miramare”, which had been built close to Triest. 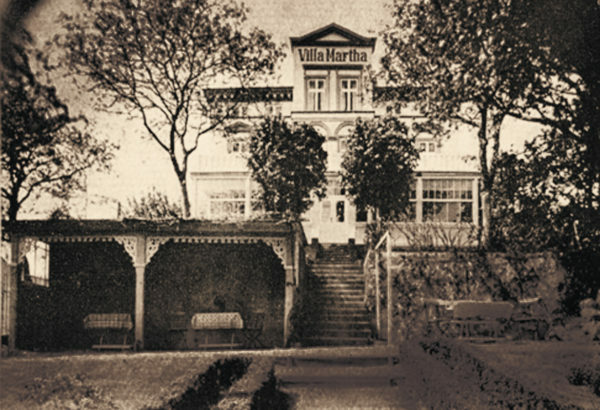 In 1905, Küster sold the restaurant including its forecourt to the municipality, which immediately changed its name to „Miramare” and started to lease it. It also constructed a large additional area in front of the building and moved the concert stage, „Konzertmuschel”, formerly situated on the Strandpromenade, to this new location. Despite the unbroken popularity of this square – among other things it was used as an outdoor cinema after 1945 – the „Konzertmuschel” was left to rot and was demolished in the early 1980s. From 1986 to 1988, shell construction master-builder Ulrich Müther created in its place the current bandstand, known as the „Kurmuschel“. It was here on the beach promenade, that all spa and beach activities in Sassnitz took place. 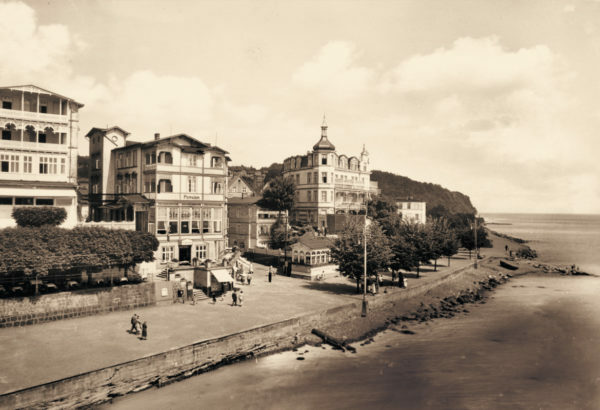 In the morning and afternoon, people sauntered along the promenade to see and to be seen or they sat under shady trees, enjoying the view of the sea and the coastline on the other side of the bay. Until the 1890s, a makeshift town square was located on the beach promenade, at the end of the „Bachpromenade”. Unfortunately, the location lost more and more of its romantic atmosphere due the town’s structural development. Until the 1860s, the „Steinbach”-stream had been running freely through old Sassnitz until it reached the Baltic sea. 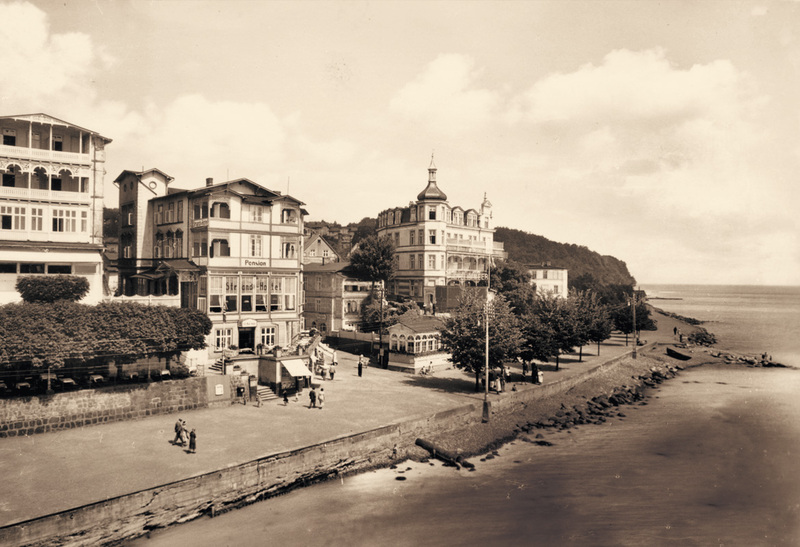 Now, it was being tubed, trees and bushes that had been growing along the „Bachpromenade” were cut, the natural stony beach was secured and concreted, the cliffs sealed and built on. 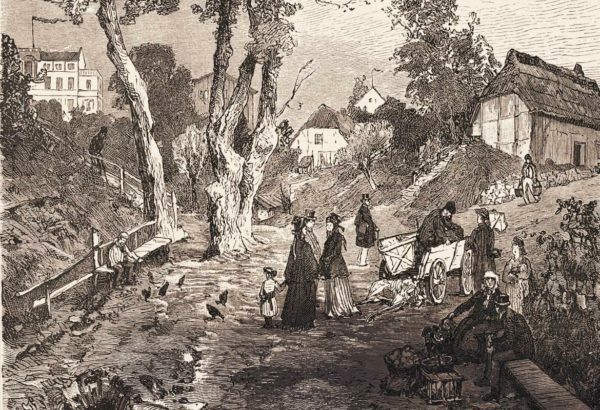 The beach promenade, full of small stores, baths, piers, restaurants and cafes as well as resting places became the “main road at the coast of Sassnitz”. Especially when the popular boat processions left, mostly heading towards the chalk cliffs, the promenade was swarming with people. The beach promenade was essential for the coastal resort of Sassnitz. 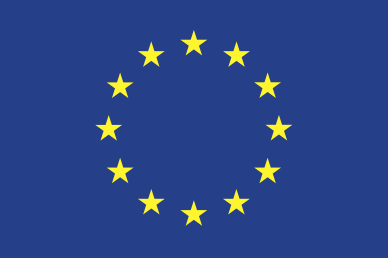 Yet, for many years it had been a source of concern for the municipality. Damages caused by annual autumn and winter storms had to be repaired in spring with much effort and at great expense. 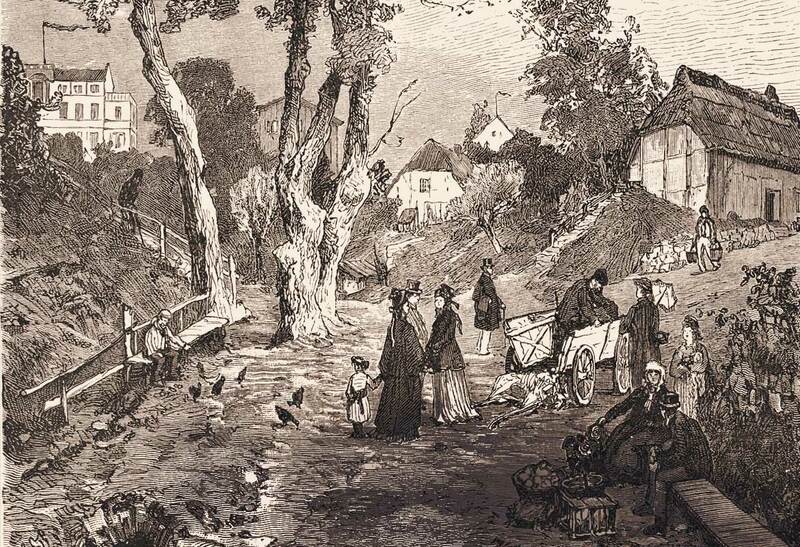 Several floods, particularly the one in 1872, caused severe damage. 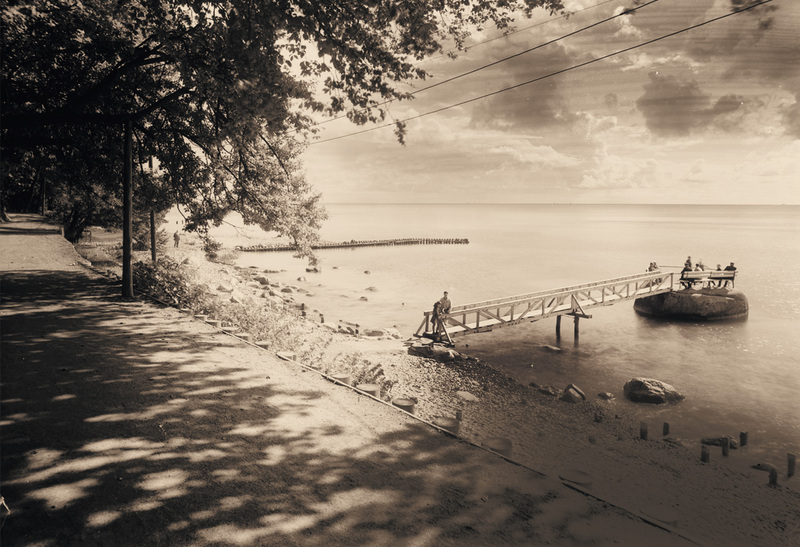 Even today during strong storms, the Baltic Sea now and then manages to rise up to the beach promenade. 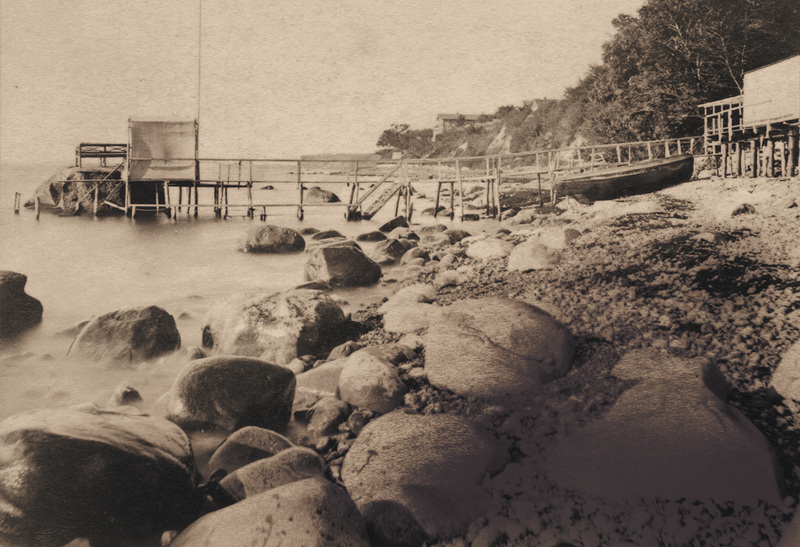 During the 19th century, not only bathing in the cool Baltic Sea was being praised as joyful and healthy, also heated seawater was increasingly valued and bathing in warm sea- water was more and more often prescribed to “sick and frail people“. 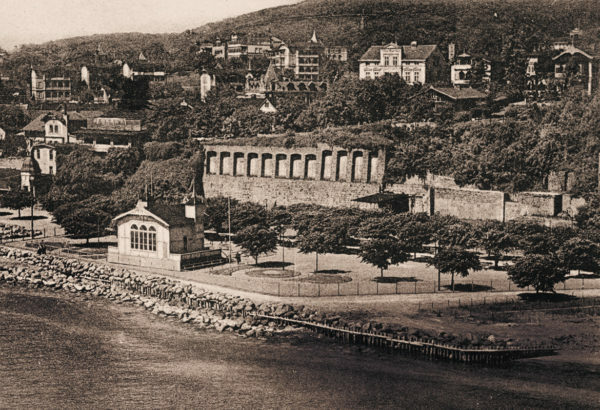 In 1865, the Sassnitz bathhouse was mentioned for the first time. Directly on the beach at the Bachpromenade’s junction, a small timber-frame/brick nogging building was constructed. 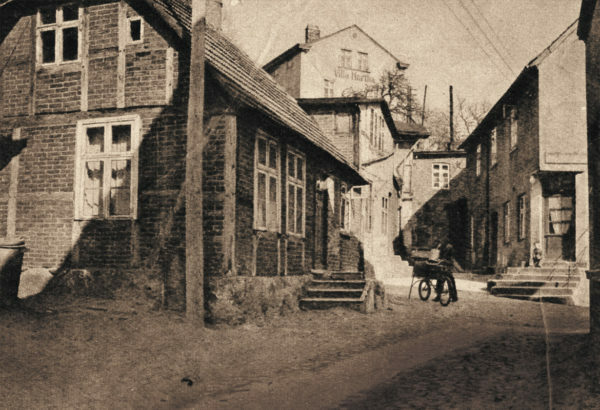 A woman from Sassnitz carried the seawater in buckets to the small house where it was heated. Later, the seawater was pumped directly into the bathhouse’s reservoir using a pumping and channel system. The bathhouse also had to deal with rising numbers of visitors and their increased ex- pectations. 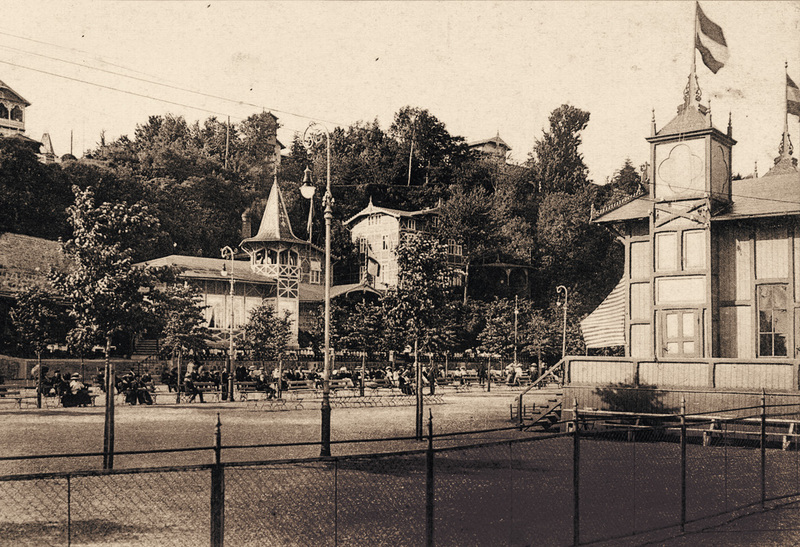 A conversion at the end of the 1870s soon proved to be insufficient and the municipality decided to build a new bath house. 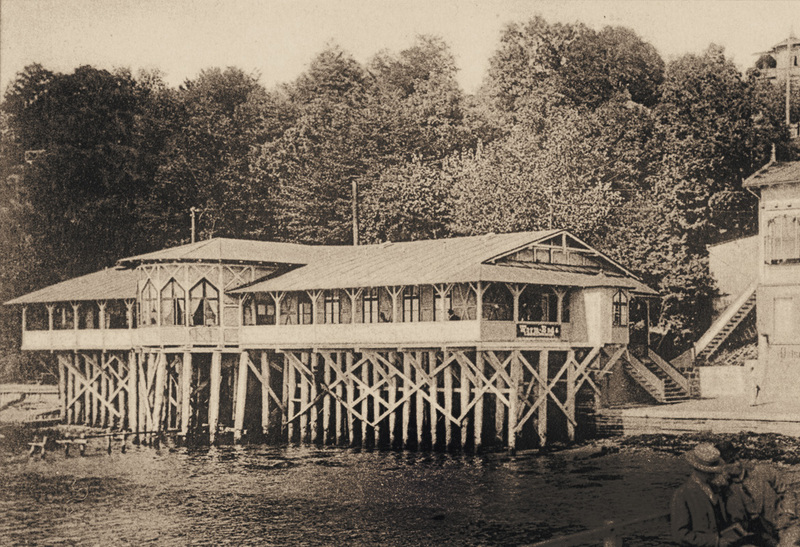 In 1884, the new bathhouse was in- augurated next to the pier. The building, resting on piles on the shore, had a reading hall and open verandas as well as 20 bathing units with wooden bathtubs. A contemporary travel guide states that “shower baths are being provided and massages and rubdowns offered by masseurs and masseuses”. After the construction of the combined bathhouse and parish hall – the present town hall – the fate of the bathhouse on the shore was sealed in 1910 and it was demolished. 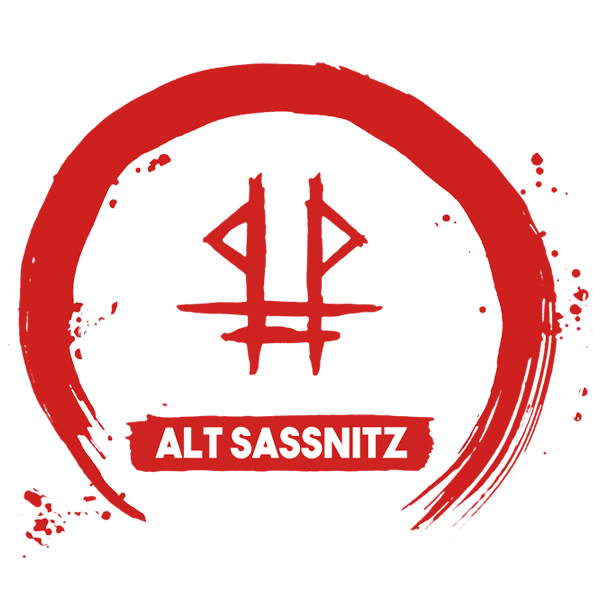 The original Sassnitz village, today known as Alt-Sassnitz, has been a traditional fishermen´s village up to the mid 19th century. Protected from bad weather on three sides, it was located in the gorge („Liete“) of the „Steinbach“-stream with a southern access to the Baltic Sea. Small fishermen´s houses with thatched roofs defined the townscape. However, the development of tourism was supposed to completely change the appearance of the village: one by one, the small fishermen´s houses disappeared and were replaced by multistorey villas. Soon, the citizens of Sassnitz followed the example of non-locals and started to construct additional storeys and extend and modify their houses. The additional space guaranteed increasing profits for the owners. Furthermore, the slopes around the settlement were used for construction and the small village slowly started to “climb out“ of the gorge. Also, famous personalities like Johannes Brahms, Theodor Fontane or the Empress Auguste Viktoria discovered the charm of the small village. 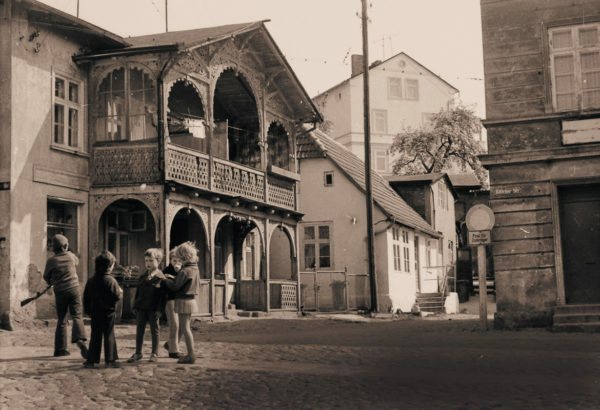 By visiting various buildings and locations we want to invite our guests on a time travel consisting of eleven sites, to experience the history and development of the fishermen´s village into one of the leading Baltic Sea resorts.